We have a lot to worry about already in this world, but your drinking water should not be one of them. In certain areas of the United States, the water that normally comes out of your kitchen sink is not the greatest for you nor the best tasting because of lead, cysts, and chlorine. This is where the 3M™ Aqua-Pure™ Under-Sink Water Filtration System comes in. These are more advanced than the first generation of water filters. with three times the capacity. That’s about 6,000 gallons of water. And with two different models, you can choose which is best for you and your family. The first model fits under you sink and uses your own kitchen faucet. It does not take up a lot of space under your sink and in order to install, you don’t have to drill any holes into your faucet that could affect your kitchen’s decor. With 3M’s filtration system, it is quick and easy to change out your filter. All that you have to do is twist on, twist off, no mess thanks to their Sanitary Quick Change or SQC cartridge design that has a built-in shut-off valve so there is no need to turn off water. The tested flow of this model is about 2.5 gallons per minute so no need to stand around waiting for drinkable water for your entire family. You can read more about it and purchase it right here! This is a great change and more economical than having bottled water. Like the model above, This system reduces sediment, chlorine taste and odor, lead, cyst, mercury, asbestos and select VOCs. It also has an automatic shutoff meter that reminds you to change your cartridges. The gallon capacity is a little smaller than the above model, 750 gallons, but it has a a0.75 GPM flow rate. Of course, it comes with everything you need to install your faucet such as 1/4″push in fitting and tubing included. It also includes polished chrome dedicated faucet and tubing. You can read more about it and also purchase it here! Keeping your family safe year round is extremely important! 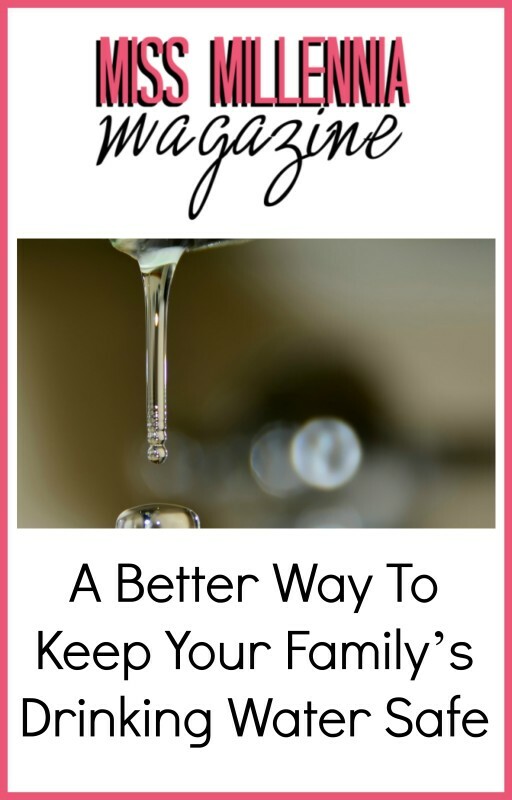 Don’t underestimate the seriousness of having clean drinking water in your home. Try out these filters and tell me how they have worked out for you and your family! Happy drinking! This is a sponsored post on behalf of 3M Purification. All opinions are 100% my own.